Exploring bi-directional power transfer between electric vehicles and the grid. FCA US LLC is a North American automaker with a new name and a long history. Headquartered in Auburn Hills, Michigan, FCA US is a member of the Fiat Chrysler Automobiles N.V. (FCA) family of companies. FCA US designs, engineers, manufactures and sells vehicles under the Chrysler, Jeep, Dodge, Ram, and FIAT brands, as well as the SRT performance vehicle designation. The company also distributes the Alfa Romeo 4C model and Mopar products. 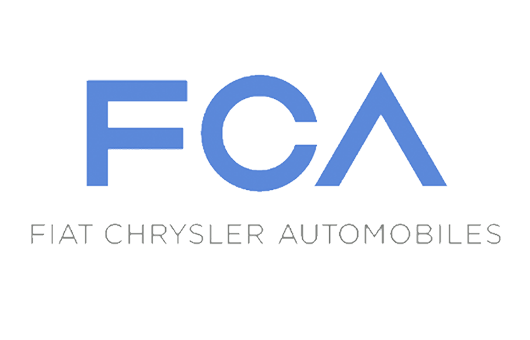 FCA US is building upon the historic foundations of Chrysler, the innovative American automaker first established by Walter P. Chrysler in 1925; and Fiat, founded in Italy in 1899 by pioneering entrepreneurs including Giovanni Agnelli. FCA, the seventh-largest automaker in the world based on total annual vehicle sales, is an international automotive group. FCA is listed on the New York Stock Exchange under the symbol “FCAU” and on the Mercato Telematico Azionario under the symbol “FCA.” FCA US has invested more than $2 billion in projects that benefit the production of advanced engines and transmissions. NextEnergy supported FCA US on implementation of a grant proposal to the U.S. Department of Energy. Through the grant award, NextEnergy helped FCA US test and validate technology that enables bi-directional power transfer between electric vehicles and the grid. Once the grant project was completed, NextEnergy helped FCA US further vet the technology by leveraging private and public investment to fund a demonstration program. This program will evaluate the new business implications in a vehicle-to-grid (V2G) scenario by vetting, testing, validating, and analyzing such technology.